Nunsploitation was one of the most popular genres in Grindhouse cinema in the 1970s. 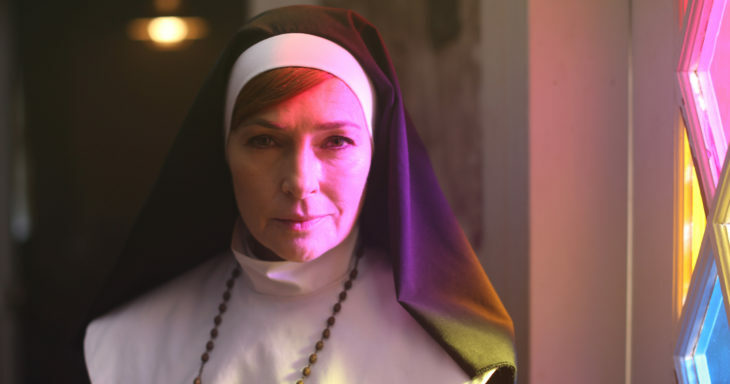 The US director Darren Lynn Bousman revitalized the notorious subgenre with his film ST. AGATHA. In the 50s, the golden age of repression, a single pregnant woman finds shelter in a convent of nuns. Her thankfulness is soon followed by terror, as the abbess whips her surroundings into shape according to her Christian morals and without mercy. Those who don’t follow the rules are punished. Exquisitely cast, strongly influenced by Gothic horror, and driven by a sinister pompous soundtrack, ST. AGATHA is a prime slice of nunsploitation. Amen.